Berrios (undisclosed) is being placed on injured reserve, Adam Schefter of ESPN reports. Analysis: The rookie sixth-round pick missed out on his chance to earn a role in the offense when he sat out the final two weeks of the preseason with an undisclosed injury. 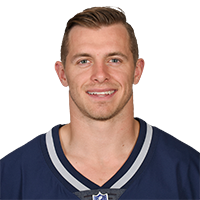 New England's decision to make the transaction before the deadline for roster cuts means Berrios won't be eligible to return from IR this season. Berrios (undisclosed) did not play in Friday's preseason game and his chances of making the team are dropping, NESN reports. Analysis: Berrios missed his second straight preseason contest due to the undisclosed issue, throwing another opportunity out the window to impress the Patriots' brass. He has one more week ahead of him to get back into action and make a last-ditch effort at a 53-man roster spot. Berrios was a limited participant in Monday's practice, Mark Daniels of The Providence Journal reports. Analysis: After not playing in Thursday's preseason game against the Eagles, Berrios is now limited in practice, so the wideout must be dealing with some sort of injury. Given that he was able to participate in some portions of practice, the injury likely isn't serious, but the wideout will want to see as much of the field as possible over the next two weeks given that he's on the roster bubble. Berrios wasn't spotted on the field with the Patriots' other wideouts prior to Thursday's preseason game against the Eagles, Kevin Duffy of MassLive.com reports. Analysis: It's unclear if Berrios is dealing with any sort of injury, but his absence during warmups should be enough to deter those thinking about speculating on the rookie slot man in DFS lineups this week. Berrios will compete with Riley McCarron to handle punt returns, ESPN.com's Mike Reiss reports. Analysis: Berrios had more than half of his receiving production at Miami (FL) during his senior season alone, but he did get three years of experience returning punts. The undersized sixth-round pick figures to battle McCarron for a single roster spot, with the winner serving as the top punt returner while also providing depth in the slot. There are no videos available for Braxton Berrios. Click here to view all videos.